The word qipao (qípáo) means “banner dress.” It used to be a long, loose-fitting dress, worn by the Manchus. The loose garment suited their nomadic lifestyle. After the Manchu community conquered China in the Qing Dynasty, the chang pao got more popular across the mainland. Both the modern qipao and the older version are associated with the women’s liberation movement in China. In the 16th century, the qipao (or chang pao, at the time) was a men’s garment, and women were forbidden from wearing it – in fact, they had to wear a two piece set instead. It wasn’t until the Xinhai revolution of 1911 that young Chinese people began learning Western sciences and Western ideals, one of which was gender equality. The practice of foot binding was gradually abolished, and women began wearing the robe to show that they were equal to men. In 1920s, a shorter version of the qipao flourished in Shanghai. This became the modern qipao that you see today. Western designs were combined with traditional Chinese ones, and the qipao became shorter and more form-fitting. During this time, Shanghai became a well-known international treaty port, which opened the door for Western influences. Shanghai in the 1920s is often referenced in pop culture as a glamorous and romantic time, with many films and novels being set in that era. It was during this time that qipaos made their way in Western fashion magazines, such as Vogue. Qipaos were made in bright fabrics, and became a symbol of femininity and the upper class. During the Chinese cultural revolution (1966 – 1976) the qipao fell out of fashion once again. During this time, “old thoughts” were scorned and traditional Chinese items were destroyed. Those who wore a qipao were seen as bourgeois. The qipao gradually made a comeback afterwards, and heavily influenced other designers in high fashion. The Metropolitan Museum of Art did a whole exhibit in 2015 on how Chinese culture influenced world fashion called “Through the Looking Glass.” Elements of a qipao were even seen in the 2016 Victoria’s Secret Fashion Show. Celebrities such as Anne Hathaway and Grace Kelly have been seen wearing qipao, and the dress is often a frequent choice of wear during diplomatic visits. First Lady of the United States, Melania Trump, wore one for the China State Dinner. Where can you buy a Qipao? Qipaos are sold in various locations across China, with many inexpensive ones being readily available at tourist markets (however, make sure to bargain!) Even Chinatowns in your area will likely carry qipao. You can also buy them online. Where to wear a qipao? Even nowadays, it’s rare for Chinese people to wear a qipao in their day-to-day life if it isn’t part of their work uniform. Formal occasions such as weddings or banquet dinners are appropriate times to wear a qipao. (Just make sure to wear a qipao in a color other than red for the wedding, as red is the bride’s color in traditional Chinese weddings.) Seasonal celebrations such as Lunar New Year are also a good time to wear it. 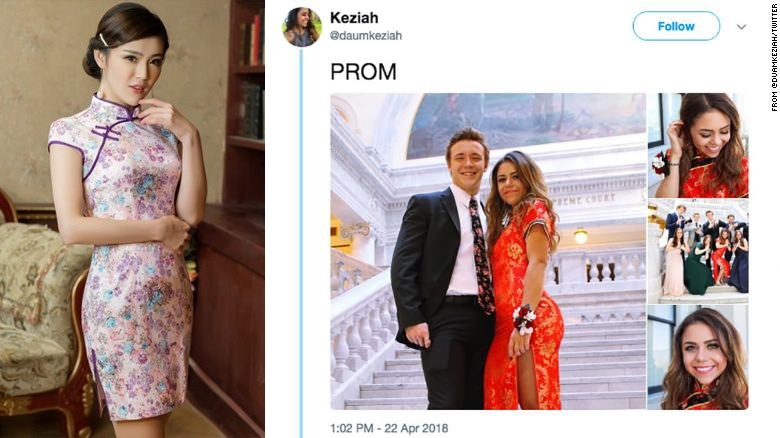 In 2018, a Caucasian high school student in Utah wore a qipao to her prom and posted photos online that caused an uproar in the U.S for cultural appropriation. Twitter user Jeremy Lam responded hotly “My culture is not your goddamn prom dress,” a tweet that has been retweeted over 20,000 times, opening a huge debate on cultural appreciation vs appropriation. However, netizens in China had a different viewpoint and most people praised the high school senior for wearing a qipao. “To Chinese, it’s not sacred and it’s not that meaningful,” said Hung Huang, a Beijing-based writer and fashion blogger, in an interview with the New York Times. 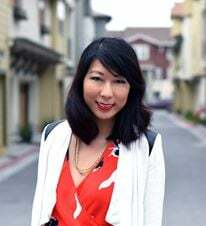 “Nowadays, if you see a woman wearing a qipao, she’s probably a waitress in a restaurant or a bride." “I am very proud to have our culture recognized by people in other countries,” said a user named Snail Trail on WeChat, the most popular social platform in mainland China. Some netizens have even started a petition to send the senior to China, so she can wear the qipao in the country it came from. “She looks beautiful in it!” they said. This just goes to show that Chinese people in China and Chinese-Americans can have vastly divergent experiences. What do you think? Would you wear a qipao to your prom or next big event? Let us know!